​Shono T, Thiery AP, Kurokawa D, Britz R, and Fraser GJ. 2018. Preprint. 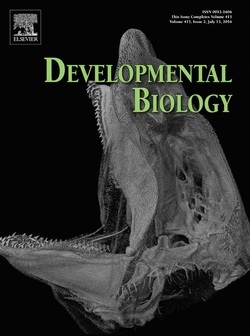 Evolution and developmental diversity of skin spines in pufferfish. bioRxiv 347690; doi: https://doi.org/10.1101/347690. Martin KJ, Rasch LJ, Cooper RL, Metscher BD, Johanson Z, Fraser GJ. 2016. Sox2+ progenitors in sharks link taste development with the evolution of regenerative teeth from denticles. Proc. Natl. Acad. Sci. USA. 113 (51); 14769-14774. doi: 10.1073/pnas.1612354113. pdf - Featured 'In this Issue'. Rasch LJ, Martin KJ, Cooper RL, Metscher BD, Underwood CJ, and Fraser GJ. 2016. An ancient dental gene set governs development and continuous regeneration of teeth in sharks. 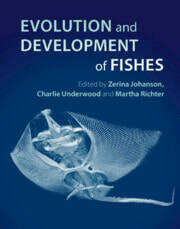 Developmental Biology. 415(2): 347-370. OA LINK - Runner-up 'DB outstanding paper of the year' award 2016.